Carl Stevens has been around lubrication all his life. His father worked for an oil distributor, so he learned at an early age the importance of lubrication and clean, dry applications. 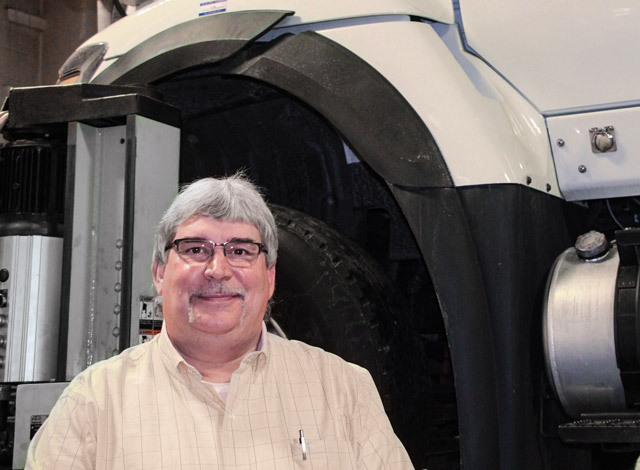 Today, Stevens is entering his 25th year with the Virginia Department of Transportation, with 22 years as the district fleet equipment manager. He routinely monitors various machines at four repair locations. This has resulted in planned and scheduled maintenance as opposed to costly, catastrophic unplanned equipment failures. Q: What types of training and professional certifications have you obtained to reach your current position? A: I've been a member of the Association of Equipment Management Professionals (AEMP) since 2002 with a certification in equipment management. Over the years, I've become certified in various vehicle and equipment repair processes as well as management and human resources. I enjoy learning all I can about current and new technologies. Q: Are you planning to obtain additional training or achieve higher certifications? 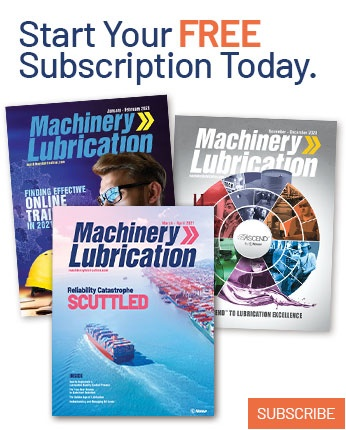 A: There’s nothing specific presently, but I try to stay informed as to anything and everything that may impact the industry, i.e., changes in lubricants and fuel as well as new Environmental Protection Agency (EPA) requirements for engines, natural gas, batteries, hydraulics, etc. A: I spend a significant amount of time searching for solutions to problems and root causes. I help people find ways to eliminate failures and look for better ways to be efficient, whether it's a process related to a repair, the application of a machine or crunching numbers that may reveal potential savings. Q: What is the amount and range of equipment that you help service through lubrication/oil analysis tasks? A: We have a robust fluid analysis program to help maintain more than 800 vehicles and machines in all weather conditions across 10 counties and 15,000 miles of infrastructure. This includes everything from pickups and dump trucks to off-road vehicles and equipment. A: We recently changed from a conventional petroleum-based engine oil to a semi-synthetic product. This was the result of oil analysis showing that our off-road units were using up the additive package too soon. 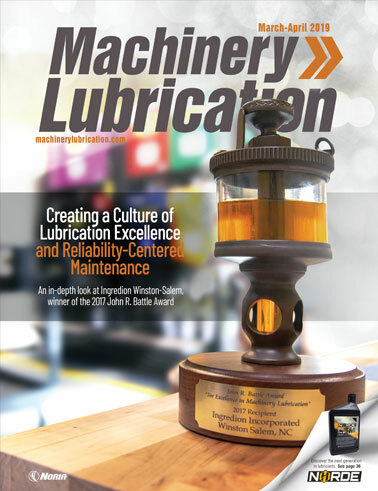 A: By far the biggest success was when we standardized our entire lubricant inventory. We went from 47 different products/manufacturers to 16 lubricants and one manufacturer. I literally had people calling to thank us. A: It's a high priority, but to be honest, we are no different than other similar operations. Some of our people don't see the value as much as others, but we are consistently working to improve that. A: Without a doubt, cleanliness and the application of ISO standards will play a larger role. More heat and higher pressures are already here, and more are coming. The fluid clearances are not going to get larger. We also need to train everyone on the importance of how dirty things are even if they can't see it. A: I remember reading somewhere that a successful maintenance program will no longer be measured by the number of failures you fix but by the number that never occur. I think that says it all.